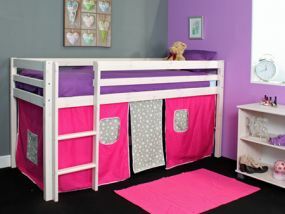 A fantastic way to transform your child's bedroom is to add a Thuka Trendy mid sleeper. 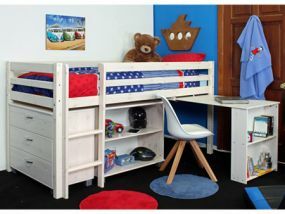 These amazing mid sleeper beds raise the bed height up so you can utilise the area underneath.Thuka trendy mid sleeper packages are available in natural or white wash finishes and incorporate exciting accessories to add fun and practicality to your child's bedroom. We also offer a build-your-own Thuka Trendy mid sleeper option which means you start with a basic bed frame and add your own accessories. 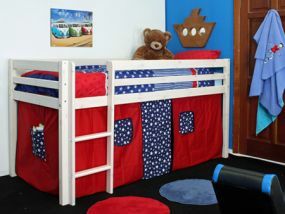 With FREE next day delivery your child can be sleeping in their Thuka bed in no time at all.